Bob Munro's interest in photography has been one that was realised later in life but he is already exhibiting his third exhibition. 'Tectonic Poetry' focuses on architectural form amongst the changing light of the ever impressive Federation Square Atrium and runs until 22nd November at No Vacancy Gallery. 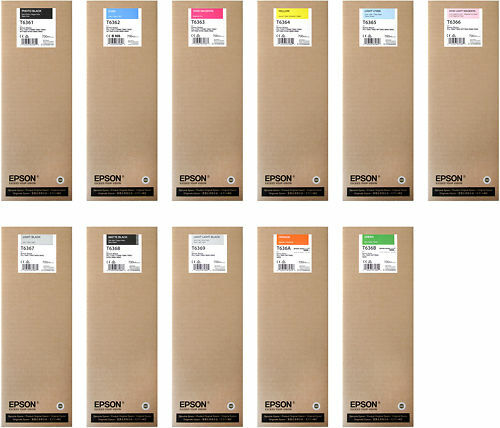 We recommend you look at Epson Stylus Pro 7900 & 9900 700ml Inks as an alternative. 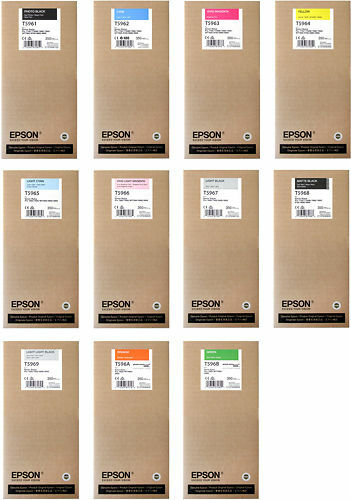 Each cartridge contains the fantastic, well-tested Epson Ultrachrome HDR ink. Epson has engineered the UltraChrome HDR (High Dynamic Range) pigment ink technology. While still retaining its key features, such as three-level black ink for superb grey balance, and smooth tonal gradations from shadow to highlight, UltraChrome HDR comprises several new important innovations that contribute to dramatically enhanced print and colour quality. One of the most significant advantages of the UltraChrome HDR ink is the inclusion of Orange and Green inks, which bring about dramatic expansion in the colour gamut, especially in the bright /vivid green to yellow, and yellow to red ranges. In particular, with the new orange ink, the Epson HDR ink technology delivers a major recuction in image grain that is typically evidenced in skin tone reproductions. Hand curated articles, links and downloads to help you get the best from your Epson Stylus Pro 7900 & 9900 350ml Inks. Notes on why you should use OEM inks over Continuous Ink Sysytems or Aftermarket Inks.